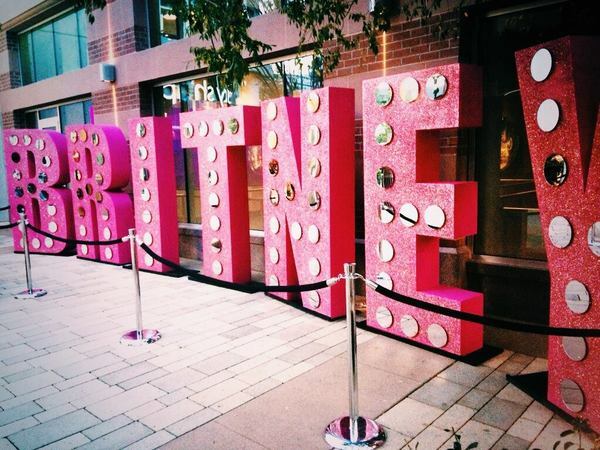 LAS VEGAS (Oct. 23, 2014) – In celebration of the tremendous impact Britney Spears has had on Las Vegas since her residency at Planet Hollywood Resort & Casino began in Dec. 2013, an elaborate event, fit only for the legendary pop icon, will be held at The LINQ Promenade on Wednesday, Nov. 5, 2014, which Clark County will proclaim as “Britney Day.” Clark County Commission Chairman Steve Sisolak will present Britney with an official proclamation, as well as the Key to the iconic Las Vegas Strip. In the spirit of “Britney Day,” Britney will completely take over The LINQ Promenade for the day, and is inviting fans and visitors to celebrate with her that evening at 5:30 p.m. Britney is extending a special invitation to her fellow “Britney’s” (anyone named Britney with any type of spelling) to attend. The first 100 “Britney’s” who check in at the High Roller Wheel House with a valid government I.D. starting at 8 a.m. on Wednesday, Nov. 5 will receive a pair of complimentary tickets to her performance at Planet Hollywood Resort & Casino that evening, a commemorative keepsake, a complimentary ride on the High Roller (valid anytime on Nov. 5) and access to a priority area to view the event. All additional “Britney’s” over the initial 100 will be offered the commemorative souvenir and a free High Roller ride (valid anytime on Nov. 5). Guests of all ages are welcome to attend the event, but guests need to be at least six years of age to attend Britney’s show, and those ages 15 years and younger need to be accompanied by an adult. Britney is the first artist-in-residence housed in The AXIS, Planet Hollywood’s newly-renovated theater which features one of the largest indoor video and projection installations in the world. With its innovative dance floor and exclusive table and bottle service provided by Drai’s Management Group, The AXIS is part nightclub and part theater, setting it apart from any other venue in Las Vegas. The 4,600-seat, intimately-sized theater allows Britney’s fans to see her as they've never seen her before.